Sapphire Anniversary | "Northern Crossings"
The LWML started in 1943. This is their sapphire anniversary. Sapphires are a pretty a big thing. I had the rivilege of digging for them in Montana and finding some nice ones. Getting them and finding them is an interesting process that involves standing in knee deep water but that is a topic for another time. Sapphires are written about in the Bible. The Sapphire was the second stone in the second row of the high priest’s breast plate. 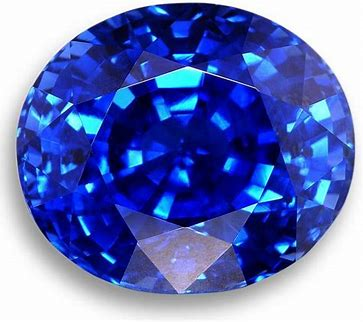 God’s throne and the floor of heaven are described as being like a sapphire. Some people think that instead of sapphire the Bible is talking about lapis lazuli but then people are always thinking that the Bible doesn’t really mean what it says. Sapphire signifies clarity and truth. On the 75th anniversary, the Sapphire anniversary of the LWML we are reminded of all these years of women who have sought to do God’s work and participate in mercy and mission ministry based upon the truth and clarity of the Word. I remember writing an article about the beginnings of the LWML. The Federal Government at the beginning of World War II asked our church body to help (gasp) in re-situating and housing young people mostly women who had to move far away from home in order to serve their country, and help the country get ready for the mobilization and getting it ready to stand on a full war footing. Most of temporary housing that was set up in this time of turmoil came from the work and the offering of what at that time was called the Ladies AID. For whatever reason the North Dakota LWML listed their official starting in 1968. I’m sure congregations in the North Dakota District had a ladies organizations. I know that because I’ve read the history some of the churches in the District and in the days of the old circuit riders it was the lady’s aid who took on the task of taking care of the fodder for the pastors horse and when he arrived to make sure it was fed and rubbed down and given water. They took upon themselves that task and the responsibility of collecting and storing oats for the animals. If the LWML in North Dakota was not chartered until 1968 that means that of the 14th District Presidents they have had since 1968, I have known personally known 12 of them. My history with the LWML is long and varied and my appreciation for them is unabated.